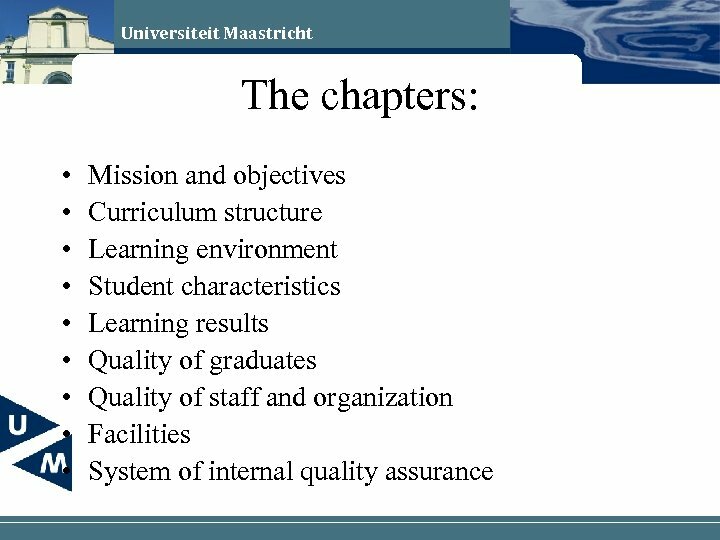 Universiteit Maastricht The quality question: • Are we doing the right thing? 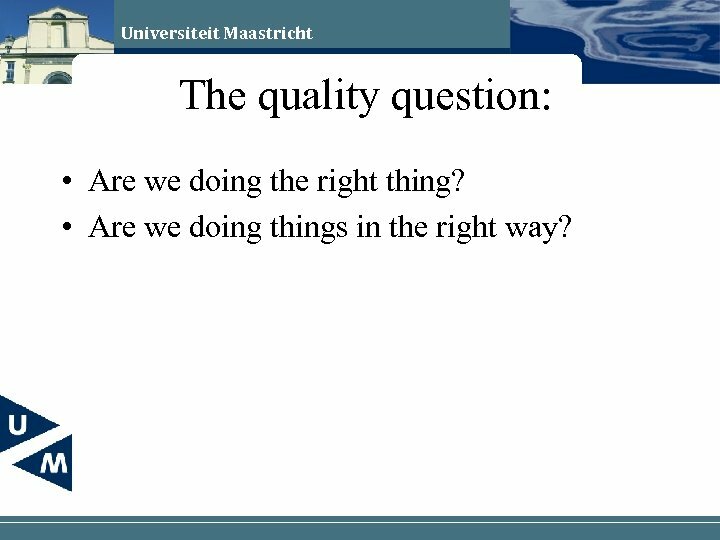 • Are we doing things in the right way? 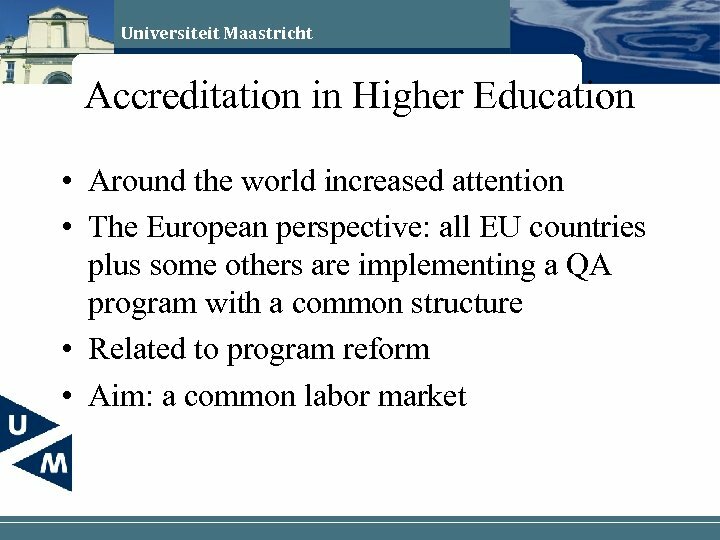 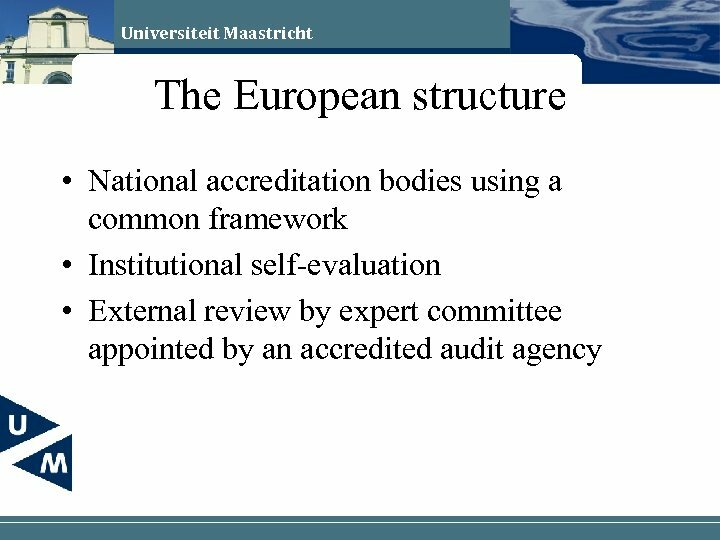 Universiteit Maastricht The comparison • Compared with other distance education programs and courses? 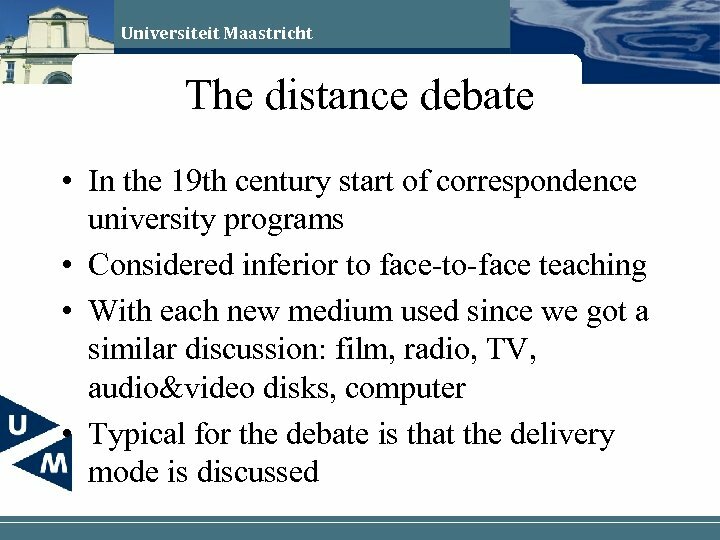 • Compared with other delivery models? 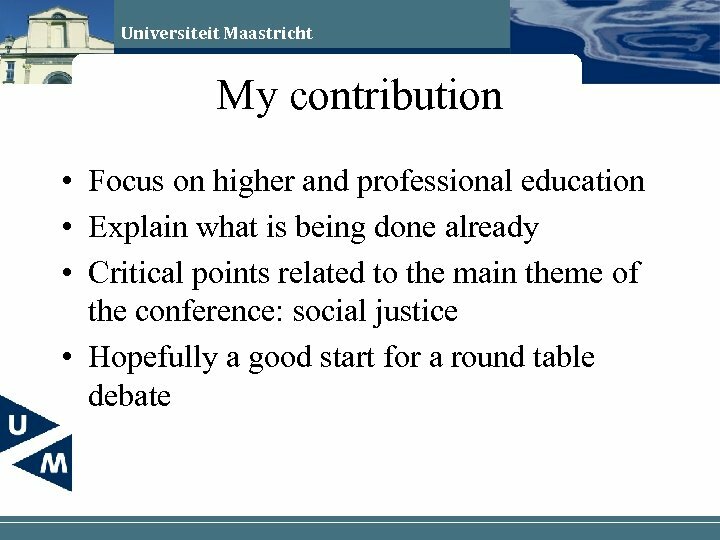 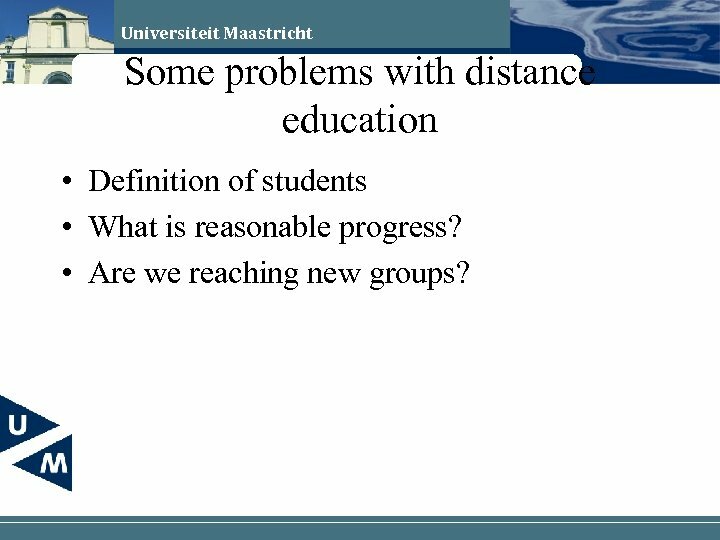 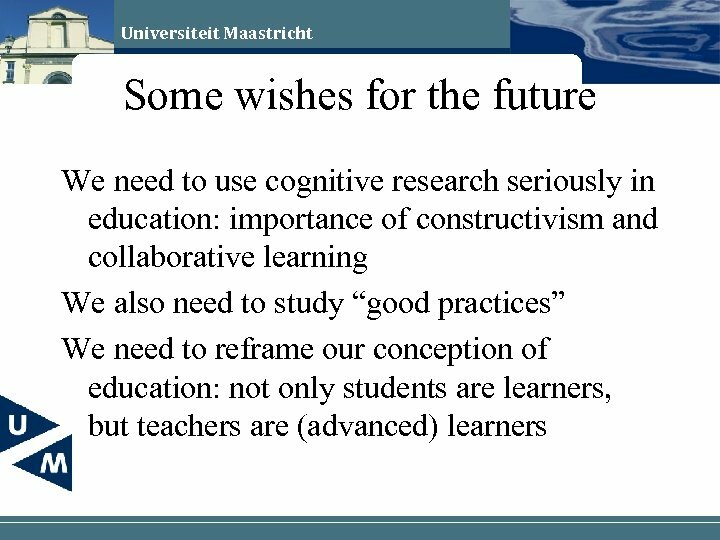 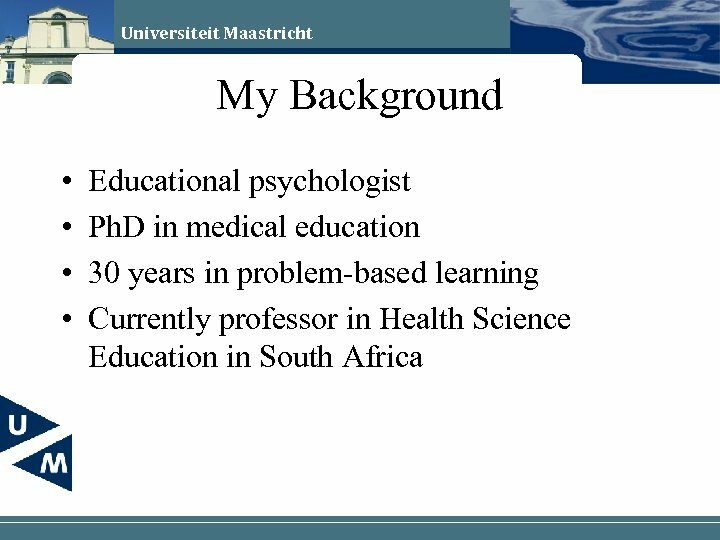 Universiteit Maastricht Some problems with distance education • Definition of students • What is reasonable progress? • Are we reaching new groups? 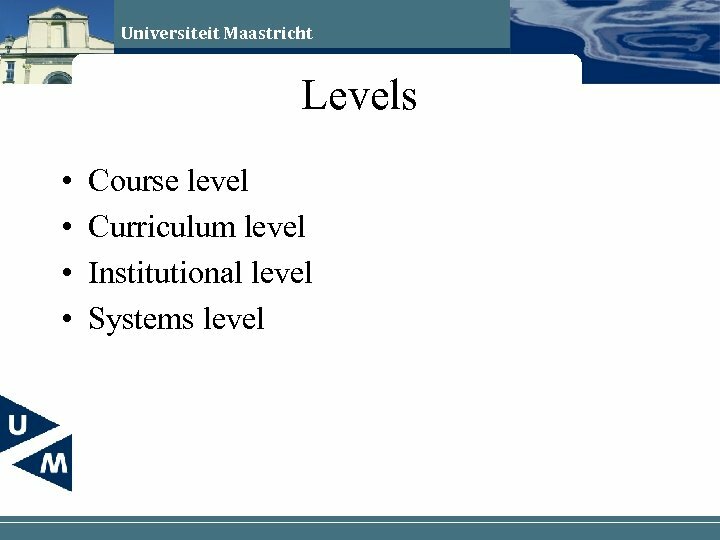 Universiteit Maastricht Globalization • • Distance learning can be applied globally It is seen by many as a business But it is transmitting values Will the strongest voice become the global voice? 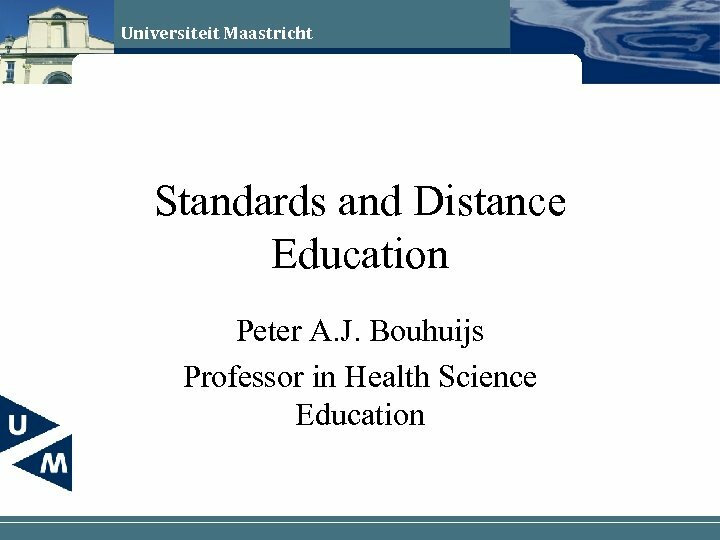 • South Africa denied foreign universities access, but can it forbid distance education? 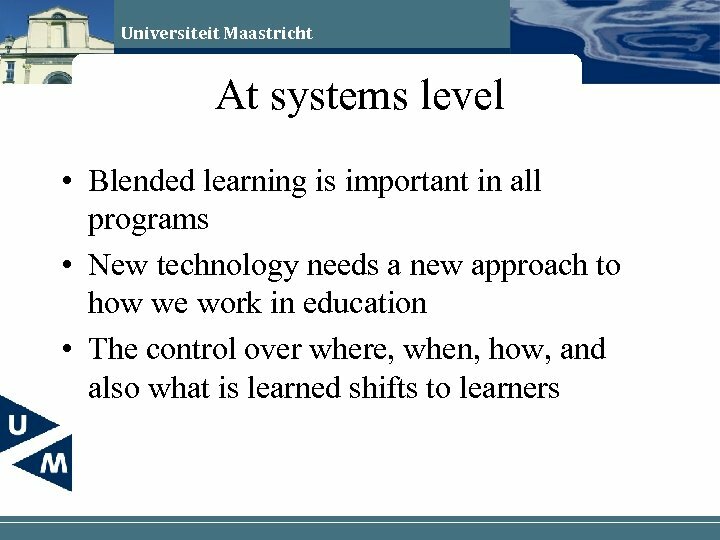 Universiteit Maastricht Learning communities • Our curricula were built when teachers were needed to transfer knowledge • Today learners can have access to data bases, libraries, computer simulations • And they can use sophisticated communication tools to work with other learners • Let us use these tools for better education and for a better world.